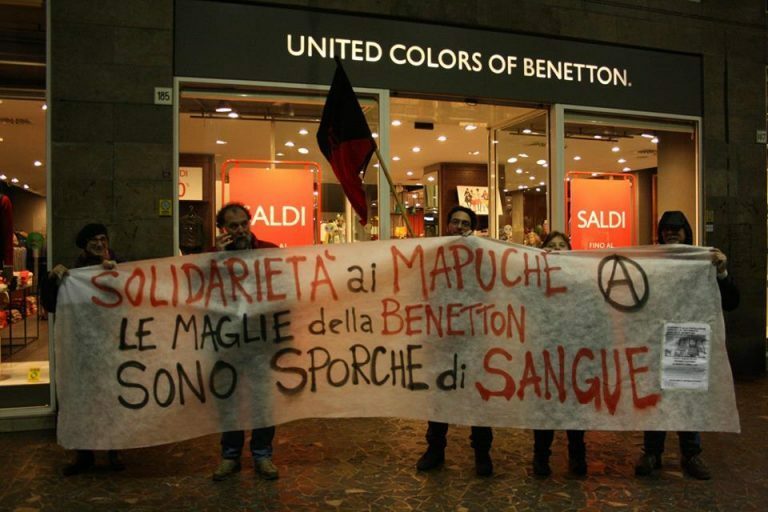 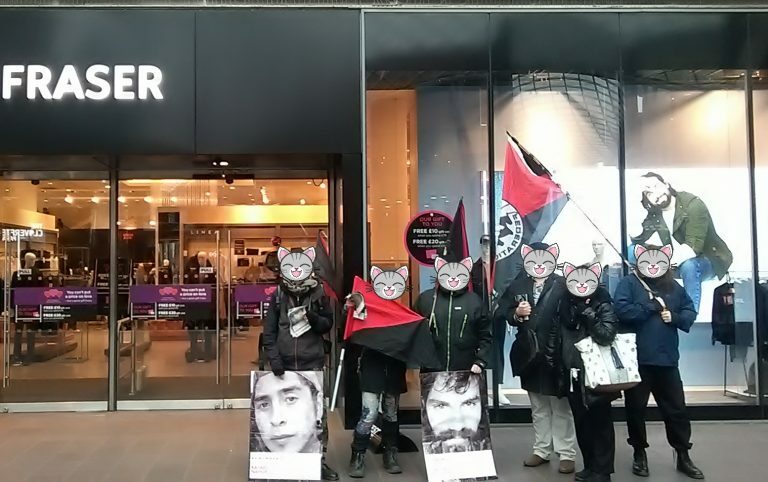 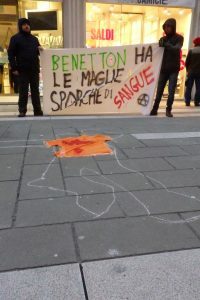 The Anarchist Federation’s sister organisation in Argentina, the Federación Libertaria Argentina (FLA-IFA) had called for protests against the Argentinian government and the international clothing company Benetton. 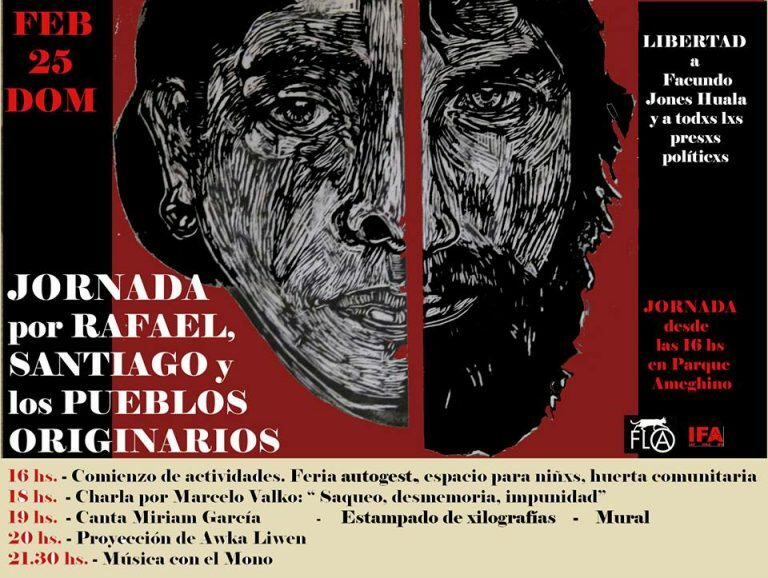 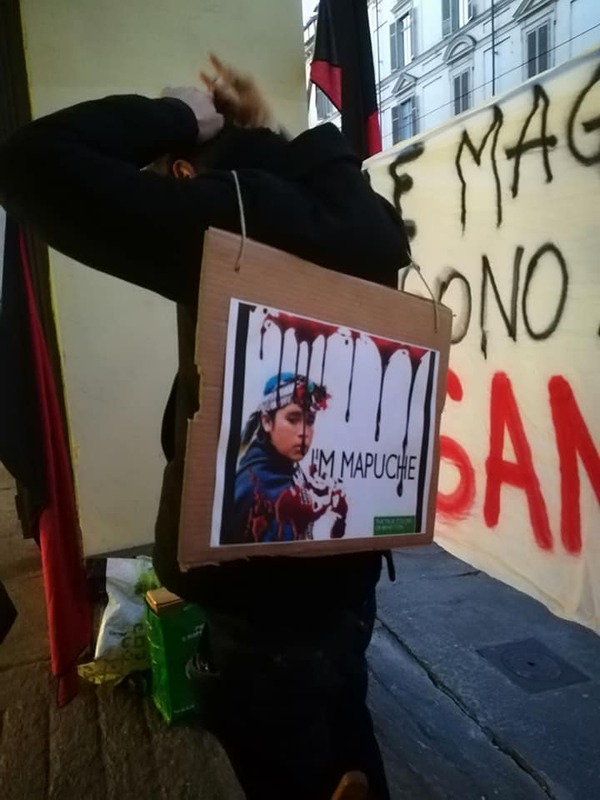 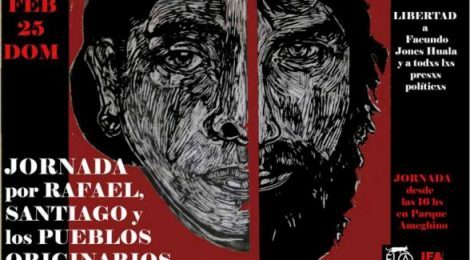 This call was made in response to state repression and killings related to seizures of land of the Mapuche indigenous people, including young anarchists and activists Santiago Maldonado and Rafael Nahuel. 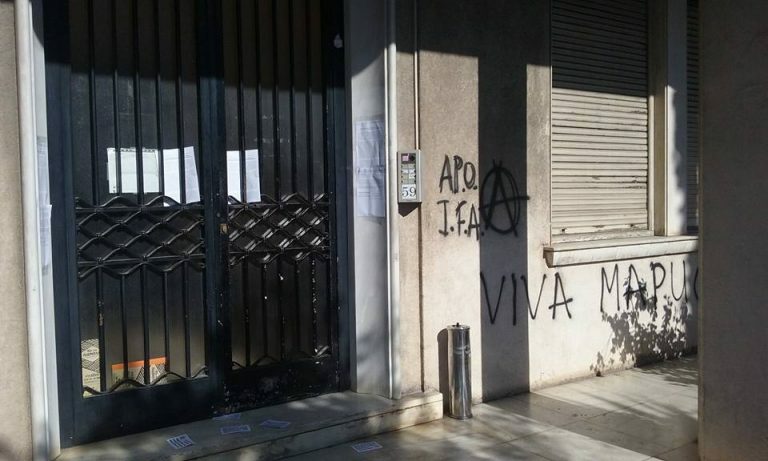 A week of action 29th January to 4th February 2018 was organised across the member federations of IFA, the International of Anarchist Federations of which AF is a member. 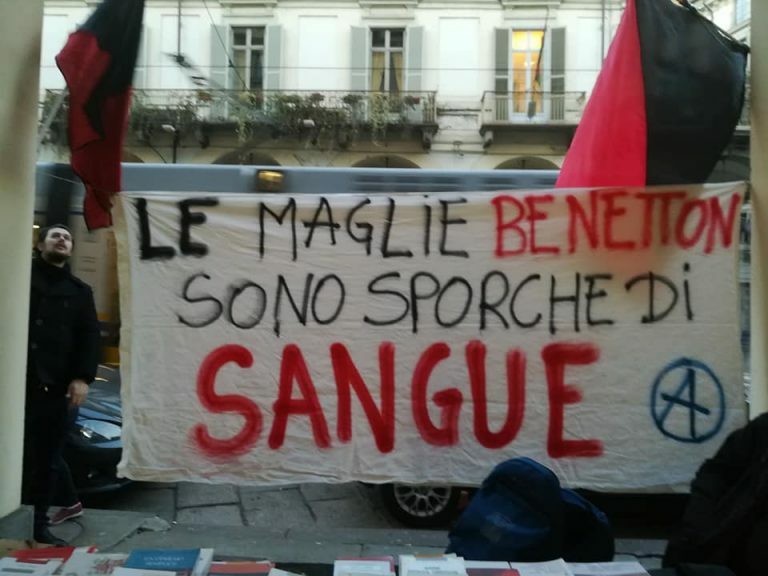 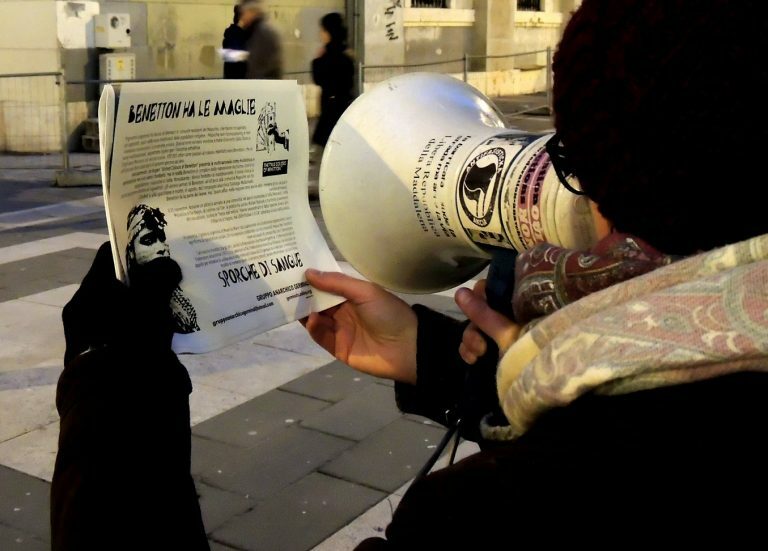 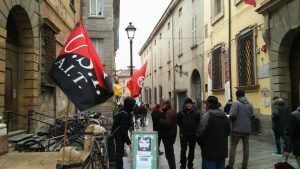 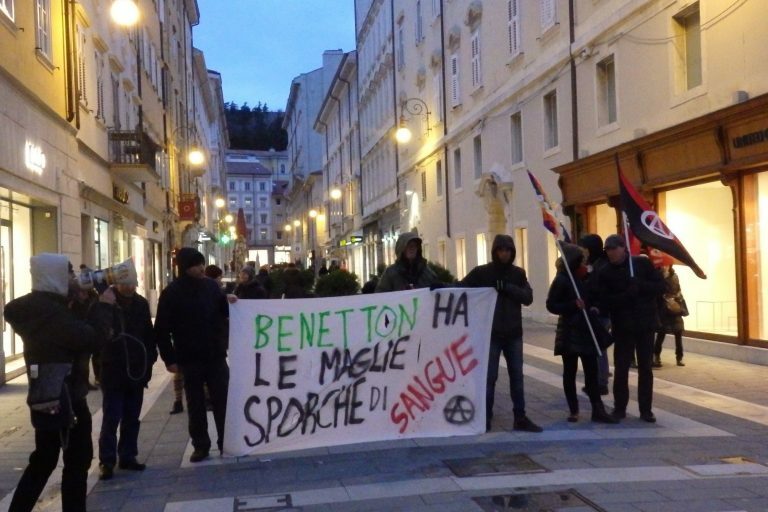 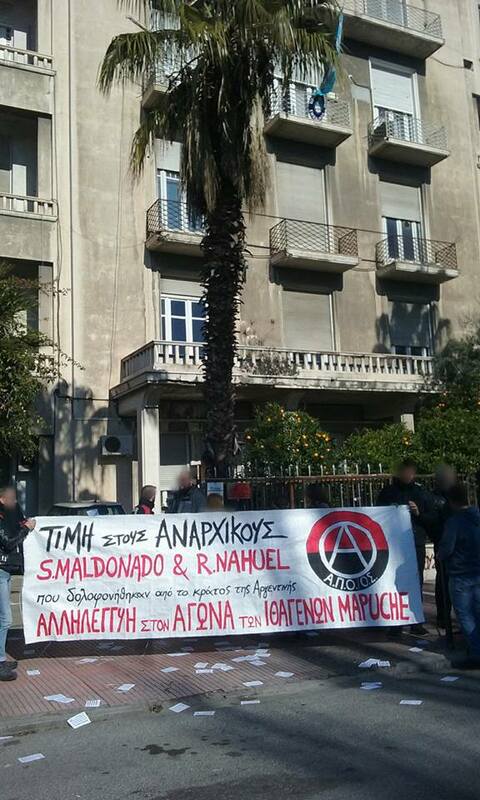 Actions took place in Germany, Greece and Italy, as well as Argentina and reported on in the anarchist press and social media. 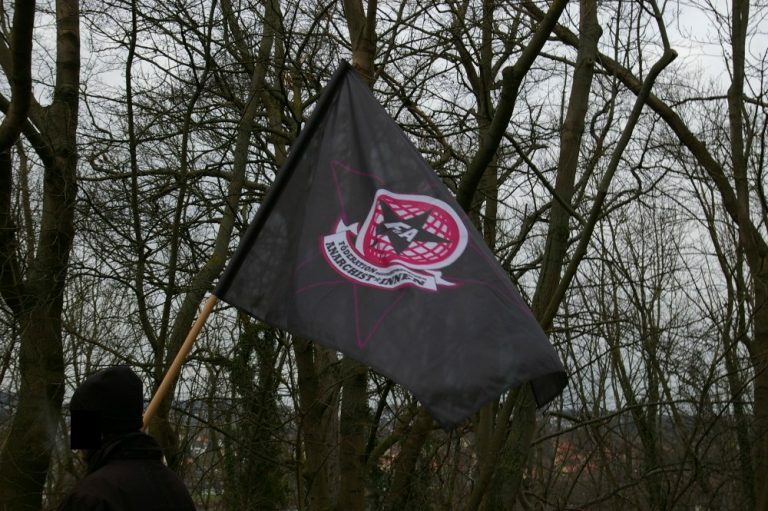 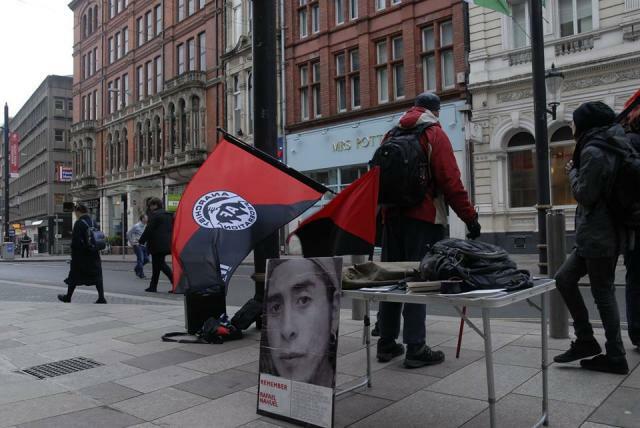 In the UK Anarchist Federation members in South Wales, Bristol, and Cheshire held demonstrations. 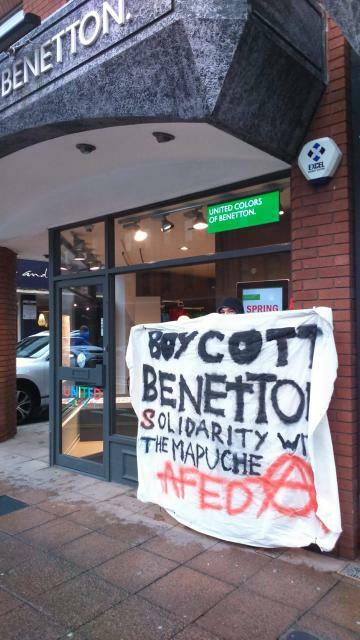 Primarily outside House of Fraser stores, as in many cities they are the only shop to stock Benetton products. 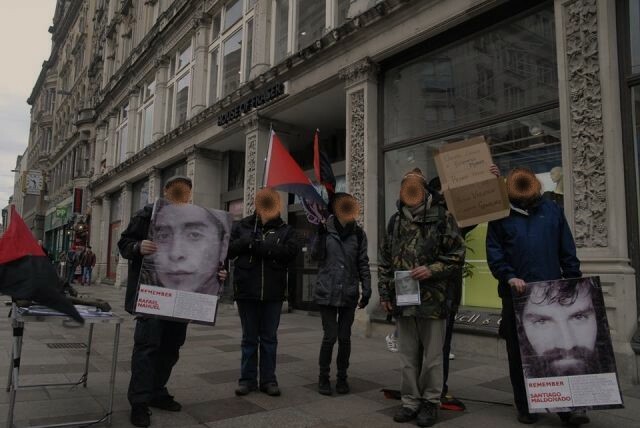 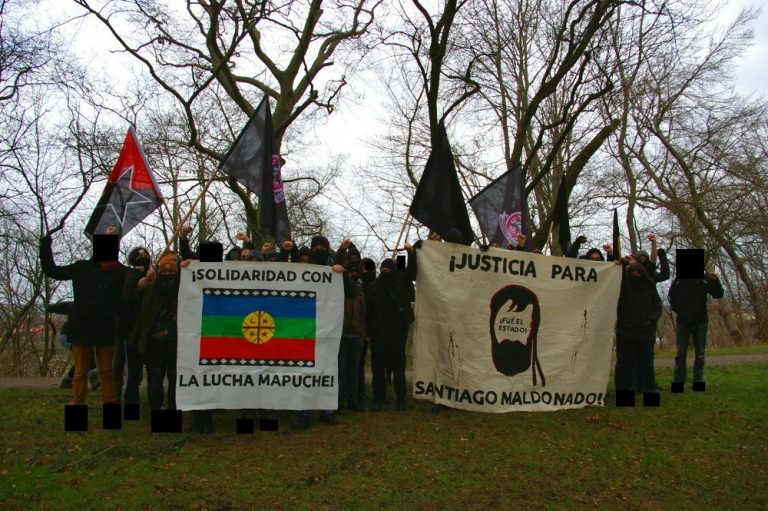 These actions have also led to us forging links with Mapuche activists in the UK, and we hope to build for more actions with them.